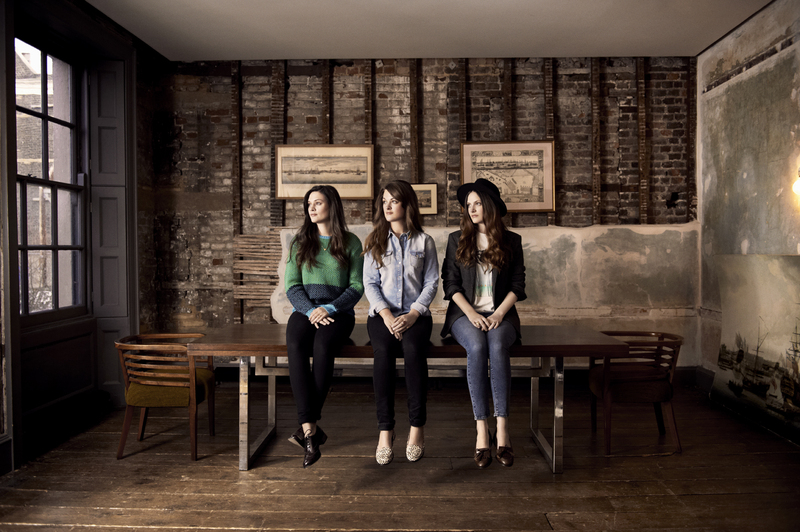 We talk to Emily, Camilla and Jessica Staveley-Taylor of The Staves. Q. What was the moment that you decided to perform together as a trio? THE STAVES: After our very first gig I think we all knew that this was what we wanted to do, but we were all busy with other things at the time so it was quite a while before we decided to really go for it. It got to the point where it was almost impossible to hold down a job because we were gigging so much and that must have been when we said “let’s not do anything else”. Q. What are some of your fondest musical memories growing up? THE STAVES: Music was quite a big part of our childhood. There was always something playing at home – our parents are big music fans. I remember hearing them sing Helplessly Hoping, by Crosby, Stills & Nash at a party with some of their friends and thinking it was very beautiful. Q. Ever have sibling rivalry? Get on each other’s nerves? THE STAVES: Ha! All the time! We bicker the same as most siblings, but we generally get on really well. It just wouldn’t work if we had serious rivalry. We spend the majority of our time laughing our heads off and writing joke songs. Q. Describe the creation of your new album. THE STAVES: They say you have your whole life to write your debut album and this record is a gathering of old and new songs. There are some of the first songs we wrote and then some that were written in the studio. It’s a good spectrum of all our work up to this point- we feel it’s a good and honest introduction to us. Q. Who does most of the songwriting? THE STAVES: We all write – sometimes alone and sometimes together. We’re not the kind of band with one songwriter which is why we don’t have one lead singer – we all take it in turns. Q. Tell us about your experience touring with the Civil Wars and upcoming tour with Bon Iver. THE STAVES: The Civil Wars tour was our first US tour so it will always hold a special place in our hearts. They were great touring buddies and it was very inspirational to see how two people and a guitar could captivate crowds of thousands night after night. We’ll be doing a European arena tour with Bon Iver this autumn – our first Europe tour (outside the UK) so we’re kind of being thrown into the deep end! We can’t wait to get back on the road with those guys – they are such a great bunch. Q. Your song ‘Mexico’ makes me daydream about a vacation to a faraway place. Where would you love to escape to? THE STAVES: Kuching in Borneo is an amazing place with great people and lots of natural beauty. Coconuts, banana fritters, rainforest and Orangutans – bliss. Q. What do you hope to accomplish with your music? THE STAVES: To make a living from making music so that we don’t have to do any other job. It would be great to do really well at it, of course, and play all over the world, but it’s as simple as that, really.